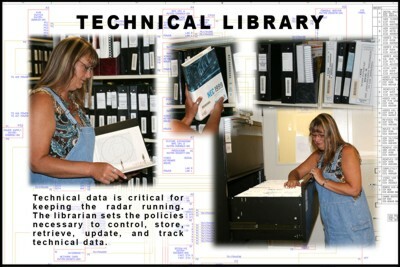 The Program Branch performs WSR-88D baseline hardware and software configuration management functions, generates and issues technical documentation, deploys field wide software releases, manages the retrofit program, provides project tracking and contract monitoring, resolves WSR-88D safety issues, and administers information resource management throughout the ROC. Proposed hardware and software changes are evaluated for impact to retrofit support, system documentation, baseline configuration, cost, and schedule. The Branch conducts tri-agency Configuration Control Board activities and administers proposed system changes. It generates and distributes tapes for Software Builds, Adaptation Data, and Map changes to field sites. The Branch develops, validates, publishes, and distributes operations and field/depot level maintenance technical manuals. 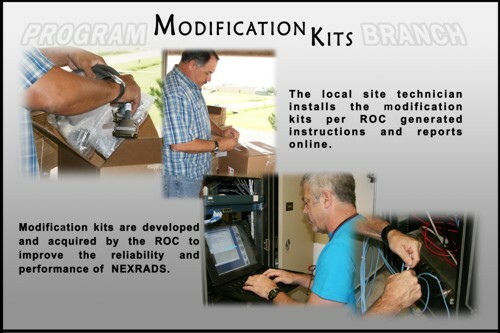 The Branch manages the retrofit modification program including procurement of hardware kits. The Branch also manages the network safety program and the Parts Compatibility Review Board. Site ID Database - This database stores a variety of site information on each site. There are two ways to search the database. The standard search and the advanced search. The advanced search will allow you to download the results if desired.